The National Blood Sector Education and Training Strategy 2013‑2016 outlines a plan to work with current education and training providers to address the growing demand for high quality, well-tailored education, training and health promotion materials to support the implementation of evidence-based practice and attainment of health service accreditation under the new National Safety and Quality Health Service Standards (NSQHS). promoting educational offerings to healthcare professionals, health care consumers and organisations. The NBA will engage with key stakeholders in the sector and enter into collaborations, joint arrangements and outsourcing to meet the key strategies identified for 2013-16.
investigate other methods of delivery. respond to requests for advice on strategic matters from government s or organisations represented on WEIAG (e.g. evaluation plans, strategic directions for web based content development, identification of subject matter experts). The governance structure below has been devised to support these functions. BloodSafe eLearning Australia offers a range of courses, which have been developed by a multidisciplinary group of expert clinicians. The online courses are designed to advance the practice of health care professionals and improve patient outcomes. 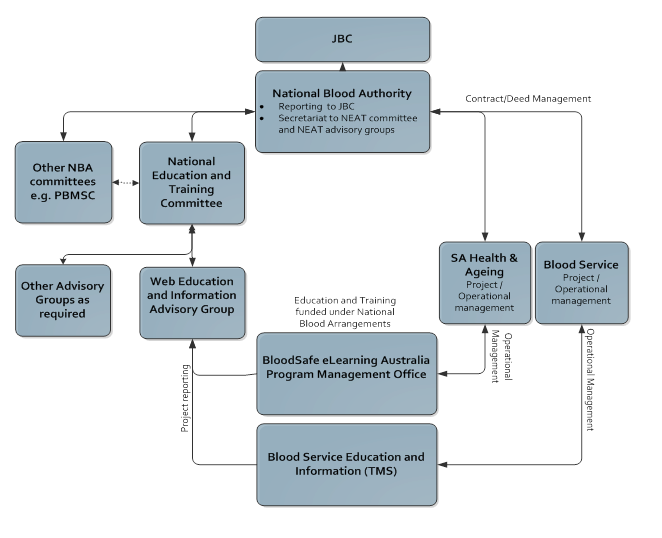 BloodSafe eLearning Australia courses are funded by all Australian governments. The courses are free and support attainment of accreditation under the National Safety and Quality Health Service Standard 7 for Blood and Blood Products. To date the feedback on this program has been very positive with use by a range of health professionals across Australia and internationally. As of June 2017 over 425,000 users have registered and over 1,000 Australian hospitals have implemented the Clinical Transfusion Practice course. Further information on the program can be found at www.bloodsafelearning.org.au. The Graduate Certificate in Transfusion Practice is an online course administered by The University of Melbourne School of Nursing and coordinated by Melbourne Consulting and Custom Programs. The course is delivered under the auspice of the Blood Matters Program, Victoria, a collaboration between the Australian Red Cross Blood Service and The Department of Health. 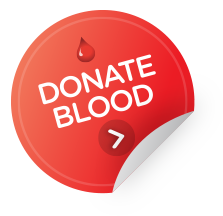 For information about this course visit www.health.vic.gov.au/bloodmatters/tools/cert.htm.